Soon walking and bicycling to school should be safer for students in San Elijo Elementary with state funds announced on Monday. 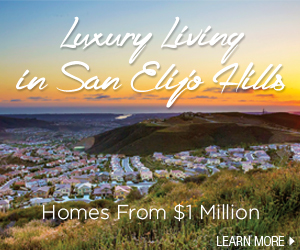 –San Elijo Elementary in San Elijo Hills: $84,150 for sidewalk and guardrail construction near San Elijo Elementary at San Elijo Road and Schoolhouse Way. A student was hit in this intersection in August of 2007 click here to read.